Business Secretary Greg Clark has confirmed today that Tim Peake will make a second mission to the International Space Station (ISS) to continue work on scientific research and broadening our understanding of the space environment. 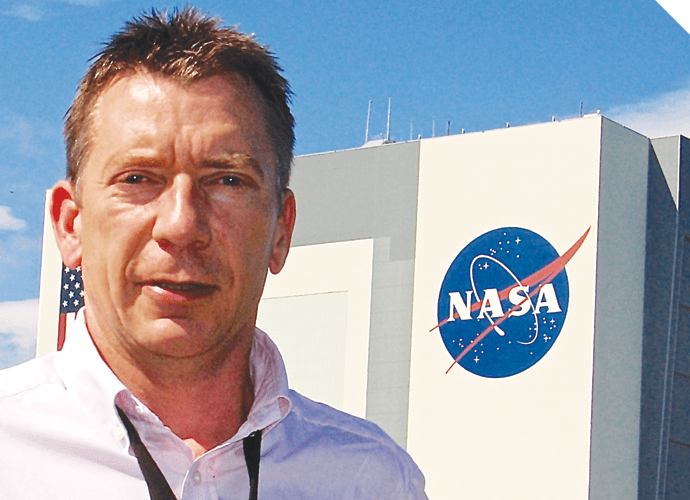 The announcement about the European Space Agency mission for Tim Peake, which will also be available to the other ESA astronauts in the class of 2009, marks a further boost to the UK’s space ambitions and to the profile of a sector of growing economic and educational importance to the country. A crucial part of Tim Peake’s work is driving interest in science, technology, engineering and maths in schools, and the UK’s future technical expertise. Mr Clark also announced that UK space businesses are set to benefit from a £152 million fund, using British expertise in satellite technology for international projects monitoring and addressing problems such as flooding, drought and deforestation. Firms from Edinburgh, Oxfordshire, and Aberystwyth are among those who will use technology such as satellite communications and Earth observation data to help address significant social and environmental issues including crop loss, illegal fishing and emergency response. This national funding follows the UK commitment of €1.4 billion (equivalent to around £300 million a year), which was committed last month, for the European Space Agency over the next four years. It signals a major advance in support for the sector, with future growth focused on increasing the number of people with the technical training to support the industry, greater opportunity for private sector companies to invest in commercial projects, and continued expansion of British satellite technology businesses. Tim Peake will undertake a second space mission as a British European Space Agency astronaut, with the timing to be confirmed by the ESA in line with normal mission selection protocol.